Top attractions include Lost Lake, Olympic Plaza, the covered bridge and the Whistler Stroll. Local activities include cycling, golfing, hiking, paddling, skiing, walking and mountain biking. 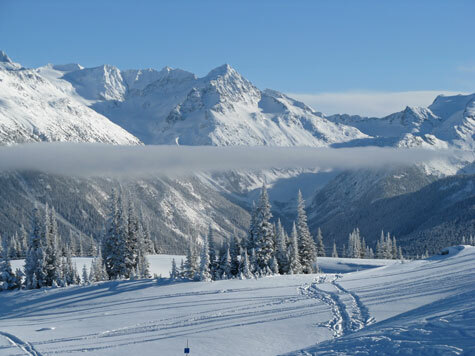 Enjoy Alpine and Nordic skiing on Blackcomb Mountain, Whistler Mountain and in the valley. Top golf courses are the Chateau Whistler, Nicklaus North and the Whistler Golf Course. Popular Whistler hotels include the Delta, Hilton, Pan Pacific, Westin and the Chateau Whistler. Airline, coach, train, public transit services are discussed, in addition to the Sea-to-Sky highway.